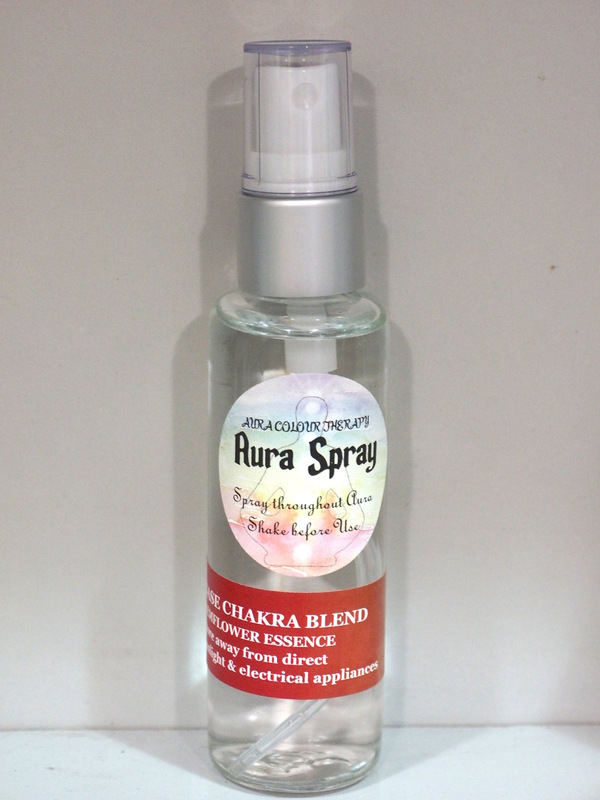 This collection features seven chakra blends, which can be purchased individually or as a complete kit. 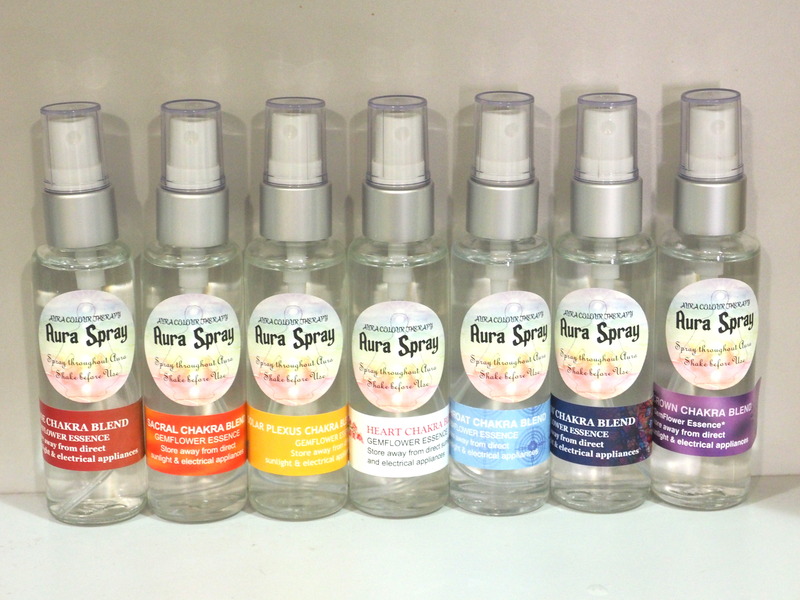 These are 50ml spray bottles, for spraying throughout the aura. The ingredients are a blending of Gem Elixirs and Wildflower Essences in spring water with vanilla vodka as the preservative. If you do not wish to use the paypal Add to Cart buttons below, please see the making payments page for more options, and contact us if you have any queries. Purchase the full kit for $140 with free postage. This saves you $70, if you were to purchase each bottle individually. This blend tones and balances the base chakra at the base of the spine. This is useful if you are feeling fatigued, vague, ungrounded, unsure about your direction in life, or you are suffering from physical ailments in the legs, feet or lower back. When our base chakra is balanced we are decisive, active, passionate, assertive, strong, independent, powerful, and bold.